This bicycle is a blue and silver ladies bike. 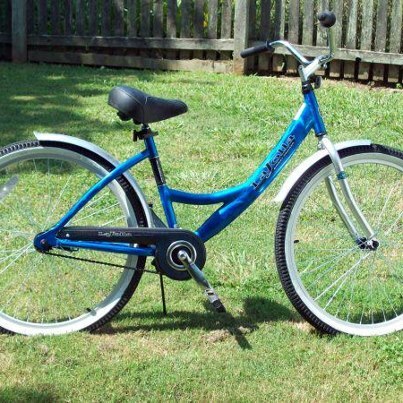 The brakes are coaster brakes and it is a 1 speed bicycle. The bike is in perfect condition.